One of my favorite events of the year returns is returning in a big way. During Viva Calle SJ, miles of city streets will be completely shut down to let people walk, run, bike, or skateboard down the streets of San Jose. For 2019, the event will take place twice! The first event is on May 19th and the second will take place sometime in September. Viva Calle features multiple activity hubs which are basically festivals-within-a-festival that highlight the local area. For part 1, the activity hubs will be at St. James Park, Parque de los Pabladores in SoFA, and Emma Prusch Farm. You can expect live music, vendors, food, activities, bike parking, and good times at all three hubs. In between the activity hubs you will still find all sorts of interesting stops, hydration stations, and stores. Last year over 100,000 people attended the event. The route will extend from Emma Prusch to near Willow Glen. At the intersection of Keyes St. (Story Rd.) and 1st St., you will be able to take 1st/Market St. all the way to the St. James Park area. 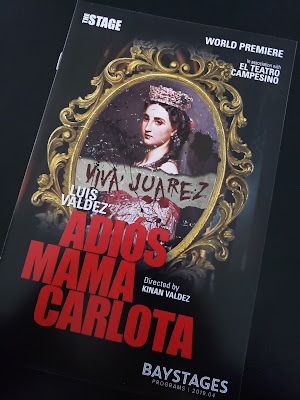 Viva Calle 2019 "Downtown and Eastbound" takes place on Sunday, May 19th from 10am to 3pm (streets are closed until 4pm). It is completely free and has no designated beginning or end as it's not a race. It is not clear yet if PokemonGo will be integrated into the event like the previous two years. You can use the handy map below to locate the routes and festivities. For more info, head over here. Hope to see you there! 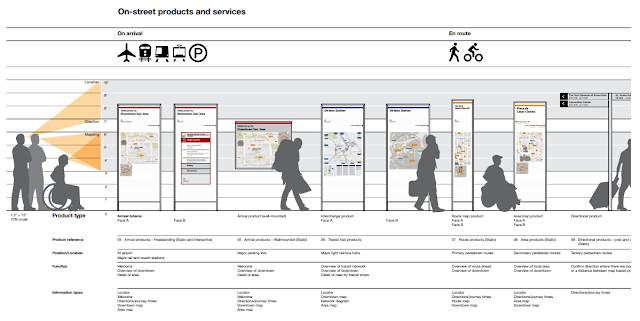 The SJ Economy Blog has some interesting information on a Wayfinding Project for San Jose. The goal is to provide block-by-block guidance to Downtown visitors. One of the big challenges Downtown faces is that there are many districts that are poorly connected with dead space in between them--empty store fronts, parking lots, etc. Thankfully, the Knight Foundation funded a project to help overcome this key issue and city staff is working on implementing some of the proposals. The first phase of the program will focus on delivering navigation totems throughout Downtown at key intersections. 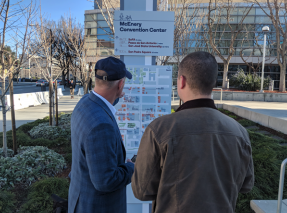 It will cover a ten-minute walking radius and the first totems will be placed along San Carlos between the convention center and SJSU. It will help visitors and students branch out into other parts of Downtown. The totems for now will unfortunately be static, which is inconvenient as Downtown is changing very rapidly. I was hoping for interactive screens that would be better suited for the "Capital of Silicon Valley" and perhaps direct people to events happening that day or allow for integrating creative art or even location-based games. 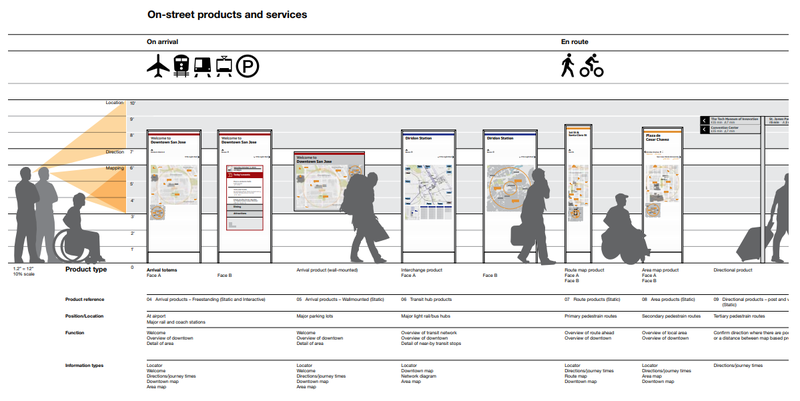 At least there will likely be a mobile way-finding element at some point. For more info, check out the link below or check out the Knight Foundation report. Below is the press release for Santana Row's most popular event of the year. Tickets often sell out, so if you are interested it would be a good idea to buy them early. 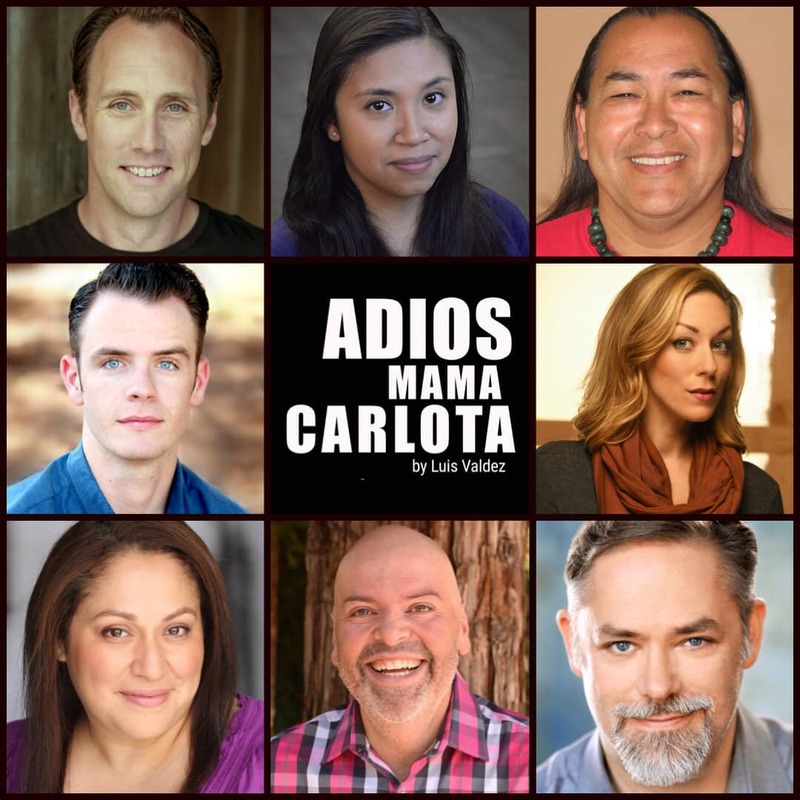 …and more Santana Row retailers! 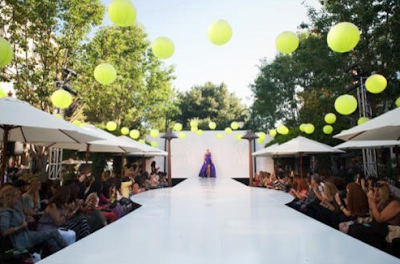 Tickets are $50 and include seating at the runway show, access to the on-site style boutique, champagne and wine, light hors d’oeuvres, a Passion for Fashion shopping card with exclusive incentives and post-show soirees. Tickets are now on sale online, and inside the Santana Row Concierge. The Michelin guide is the most renowned rubric in the world for measuring culinary success. Unfortunately, we have some bad news this year. San Jose's first and only Michelin Star restaurant, Adega in Little Portugal, lost its star after holding the honor for two years. It's unclear why, although it is still featured in the guide as a recommended restaurant. One Star - A very good restaurant in its category with cuisine prepared to a consistently high standard. A good place to stop on your journey. Two Stars - Excellent cuisine, skillfully and carefully crafted dishes of outstanding quality. Worth a detour. Three Stars - Exceptional cuisine with distinctive dishes and superlative ingredients. Worth a special journey. There are also restaurants in the Michelin guide that do not get a star, but are considered "Michelin Recommended." This is already a significant honor that a very small percentage of restaurants achieve. Within this category San Jose scored a total of 8 restaurants, which is up two from last year (one is Adega). Luna Mexican Kitchen on the Alameda is the newcomer. Fortunately we we did not lose any Michelin recommended restaurants this year. I also created a Google doc listing all of the star recipients for 2019, along with tabs for all previous years and some general statistics. Below is an image capture from the doc. This year there were a total of 57 restaurants that were awarded Michelin stars, which is up 2 from last year and an all-time high for the Bay Area. 63% of the restaurants are locating in SF, 18% in Silicon Valley (split evenly between the South Bay and the Peninsula), 16% in Wine Country, 2% in the East Bay, and 2% in Marin. This is the first time ever where Silicon Valley has more Michelin Star restaurants than Wine Country. There are 5 new restaurants on the list for 2019 and 3 that did not make the cut or were closed down. The only new starred restaurant on the list from Silicon Valley is Protege in Palo Alto. A great song is always "singable, sellable, and most of all, sincere." This is the core belief of The Sherman Brothers where we come to love many of their songs including those from Mary Poppins, The Jungle Book, Winnie The Pooh, Charlotte's Web, and the infamous, "It's a Small World After All." 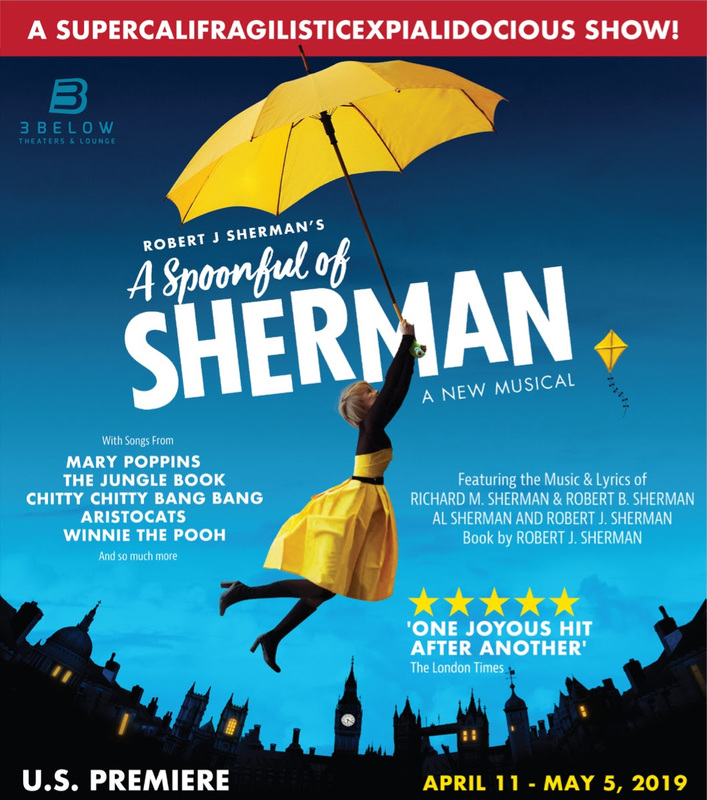 Nevertheless, "A Spoonful of Sherman" is much more than The Sherman Brothers - it's about their family. The San Jose Blog was given an opportunity to talk with Robert J. Sherman, the son of Robert B. Sherman and the nephew of Richard M. Sherman. After his father passed away in 2012, Robert launched a posthumously biography of his father but thought a book signing wasn't really appropriate. Given this, Robert decided to do a small cabaret show in London with just four cast members and with him as a narrator. With low expectations, Robert did not realize that his show would garner rave reviews including 4 stars from The London Times. 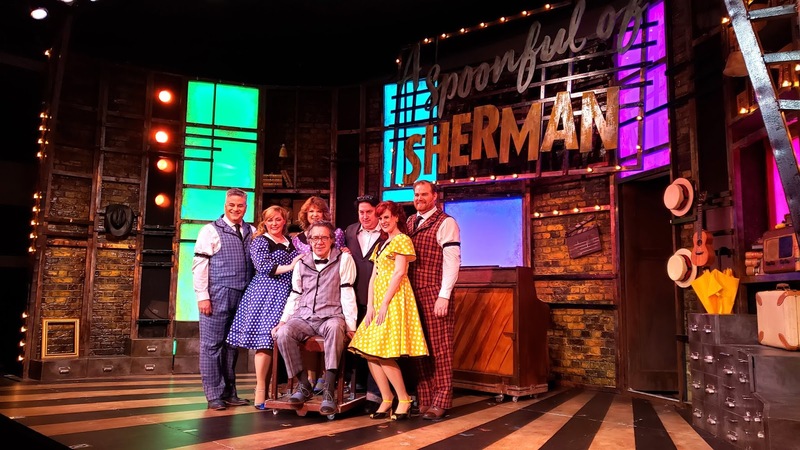 Robert worked with a producing partner and reworked the show to what we have today as "A Spoonful of Sherman." 3Below hangs these colorful umbrellas in their lobby to welcome "A Spoonful of Sherman"
Photograph taken and with permission by John Huân Vu. 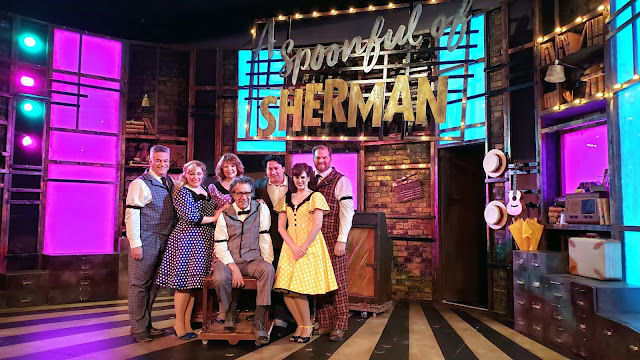 "A Spoonful of Sherman" is a loving tribute to Robert's family starting from the roots of his grandfather, Al Sherman, to The Sherman Brothers, to his own life as a songwriter and composer today. In addition to 55 songs, the show is narrated by the singers themselves where we follow the family during the Great Depression, the fight in World War II, the successful work under Walt Disney, and their continued legacy to today. The show had its world premiere in the United Kingdom with a tour in the United Kingdom and Ireland. In the future, they are hoping to do a production in South Africa and Singapore. Nevertheless, it was an honor for Robert when Guggenheim Entertainment reached out to have the United States Premiere at 3Below Theaters and Lounge! 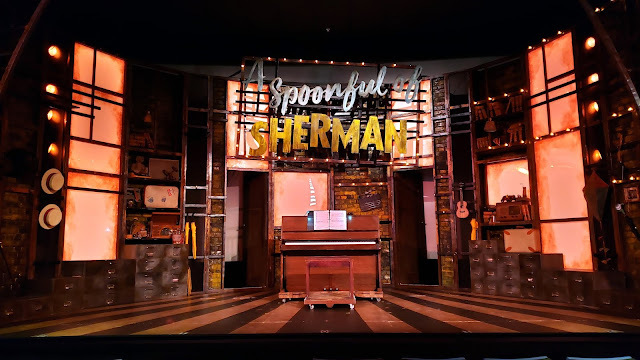 Like The Sherman Brothers, it was no coincidence that the brothers and producers of 3Below (Scott Guggenheim and Stephen Guggenheim) really wanted "A Spoonful of Sherman" to be at their theater in San Jose. As Robert puts it, the brothers were persistent! Well, the persistence paid off when I had the opportunity to see the show on Sunday, April 14, 2019 at their matinee. The last time I got to see a stage production was "Sondheim on Sondheim" and you can read my article on The San Jose Blog here. The production was significantly different from "Sondheim on Sondheim" where "A Spoonful of Sherman" was focused on a gifted, talented, and close-knitted family. Although I would consider myself a Disney fan, I was more keen to hearing about the Sherman family and listening to other unknown musical pieces. 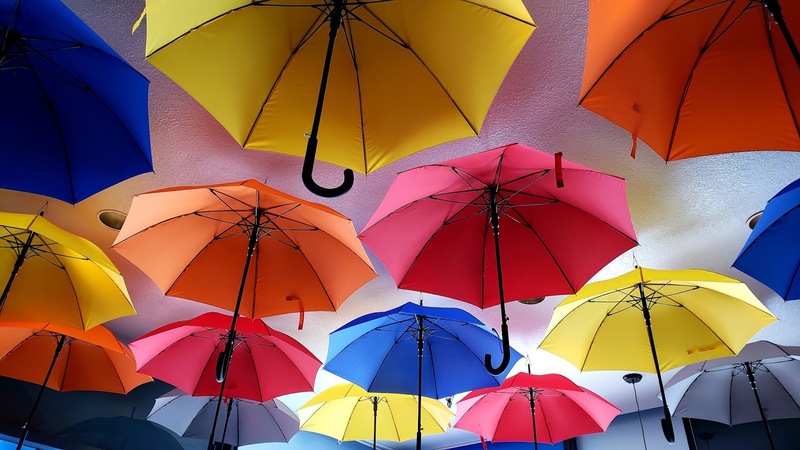 Fans of Mary Poppins would know its songs including the infamous "A Spoonful of Sugar", "Jolly Holliday", "Feed the Birds", "Step in Time", "Chim Chim Cher-ee", and "Supercalifragilisticexpialidocious". 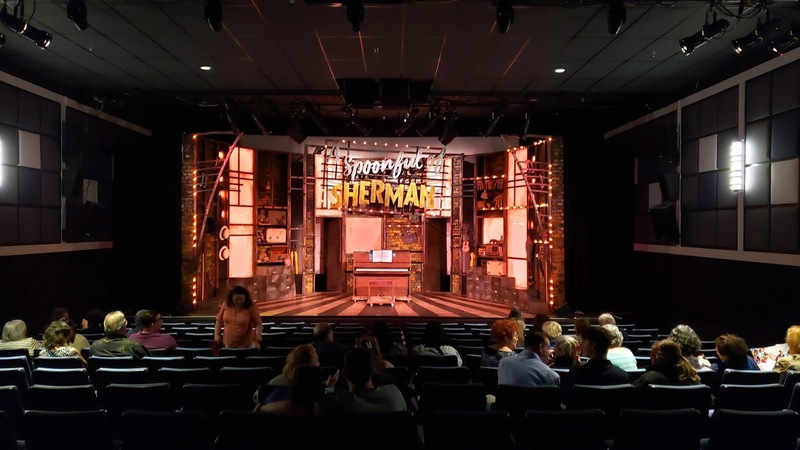 With the amazing lighting and set design, the singers were able to narrate the story while bringing all its songs to its fruition. Robert J. Sherman talks to the cast and audience after the show of "A Spoonful of Sherman"
For me, there were some songs that stood out. Although he is the main pianist throughout the show, Barry Koron sung "Crunchy Crackers" humorously as a bird from the musical "Love Birds." In honor of one of Al Sherman's work, Theresa Swain sang "Now's the Time to Fall in Love" taking a positive spin during the Great Depression. If you love Winnie the Pooh, you would enjoy the singing and acting of "The Wonderful Thing about Tiggers" done by Shannon Guggenheim. F. James Raasch was able to make us laugh by monkeying around in "I Wanna Be Like You" from "The Jungle Book." Giving life to "Chitty Chitty Bang Bang," Stephen Guggenheim lend his opera voice to the song "Hushabye Mountain" with Susan Gundunas expressing her pining love in in "Lovely Lonely Man." Although some might consider the song "It's a Small World After All" an annoying song, learning about its history, especially at the height of the Cuban Missile Crisis, brings us the reality of why The Sherman Brothers wrote it. And if you get to see the show, try to hear that one extra verse added and only been shared on "A Spoonful of Sherman." 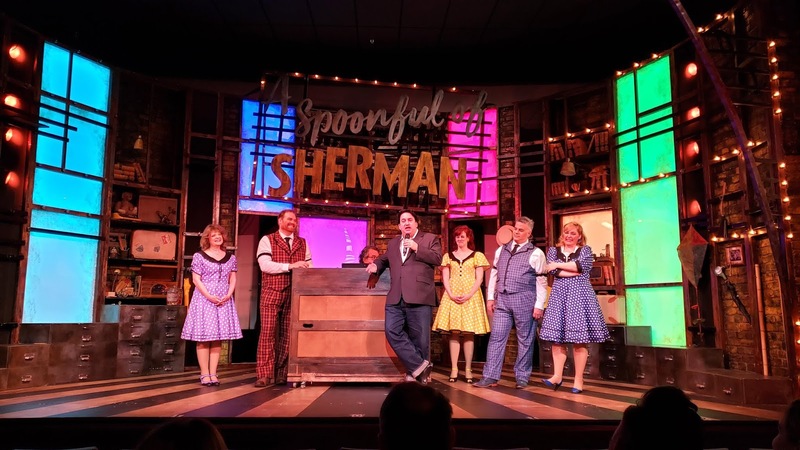 Robert J. Sherman with the cast of "A Spoonful of Sherman"
Although I only covered the tip of the iceberg of "A Spoonful of Sherman," only you can experience the entire production in your own ears, eyes, and heart. 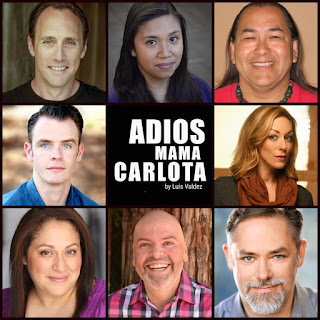 Catch a performance today until May 5, 2019 on Thursdays to Sundays by purchasing tickets online at the 3Below Theaters and Lounge website at www.3belowtheaters.com or at their box office at 288 South 2nd Street San Jose, CA, (408) 404-7711. Discount tickets are available for seniors, students, military, and youth. Please note that although it's a family-friendly production, children under the age of 10 may find some parts boring and some parts exciting like "Let's Go Fly a Kite." Written by John Huân Vu. The Sears department store location at Westfield Oakridge officially has a successor. Living Spaces, a popular furniture gallery, will be taking 100,000 SQFT from the 140,000 SQFT two-story space. It will be their first store inside of a shopping center in the US--typically they are massive stand-alone stores similar to IKEA. 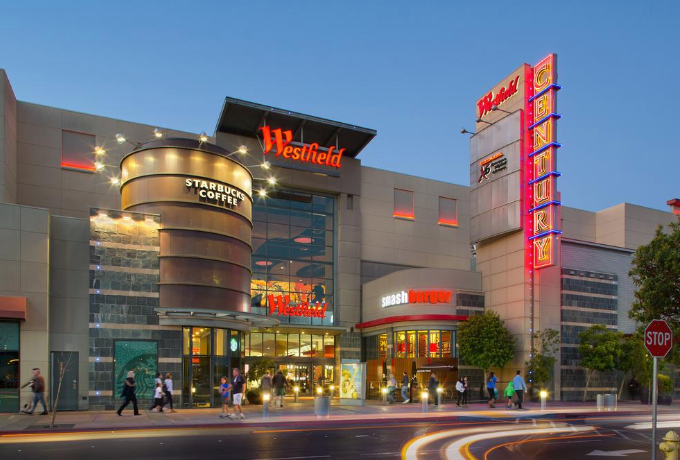 It's not clear what Westfield Oakridge plans to do with the other 40,000 SQFT Sears is leaving behind. This will be the very first Living Spaces in Santa Clara County. The closest one to San Jose today is in Fremont. Downtowners celebrate a City Council decision that allows downtown buildings to go higher than before, an SJDA advocacy initiative that took 12 years to complete and a city initiative that should provide economic boost to downtown and the airport. The Successor Agency has almost completely dismantled the former San Jose Redevelopment Agency, now down to just a few remaining assets. Google continues to buy on the west side -- now up to 54 acres. Owners of larger downtown buildings must begin complying with a new ordinance meant to reduce energy and water use. Among the new businesses and offices opening in San Jose, say hello to AARP and Stone Stew Persian restaurant. Live and Local SJ supports live music in the center city. Traffic alerts keep up with lane and road closures and openings. Maps of downtown commercial property availability and development proposals. Boom City: SJDA's summary of new downtown building proposals and west side acquisitions. 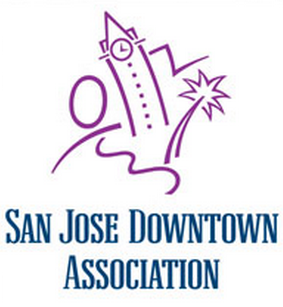 Downtown Dimension is a leading source for information about downtown San Jose news, events and businesses. Subscribe with a simple email to sjda@sjdowntown.com, subject line: Subscribe. Sofar is an interesting and unique concept where three-act musical events take place in secret locations including people's homes and retail stores. It's a great way to meet new people and brings a new level of intimacy to performances by aspiring musicians. Below is a short video that explains the concept. We have one such event coming up in San Jose on April 12th featuring soulful singer songwriter Christina LaRocca. She is doing an international tour before launching her album "Whiskey Dreams." 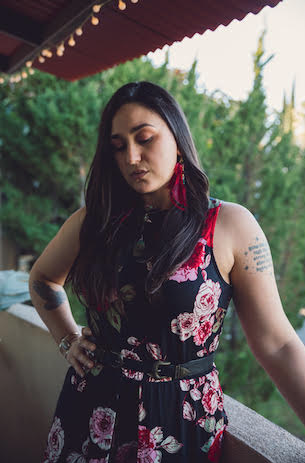 You can preview Christina's music over here and "apply" for the San Jose event at this Sofar page.